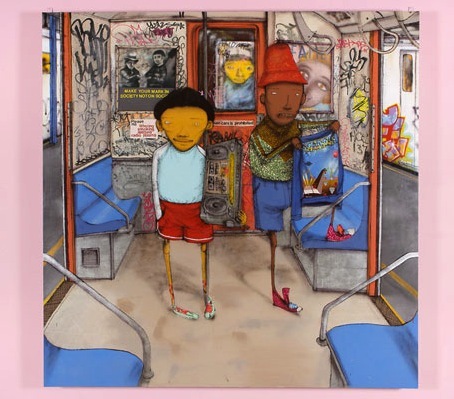 Os Gemeos is the mutual artist name of the twins Gustavo and Otavio Pandolfo. Their main influence comes from the surroundings in which they grew up. They began to experiment at age twelve on the walls, objects and materials in the megalopolis of São Paulo. This helped shape their aesthetic vernacular into a distinct and recognizable style.